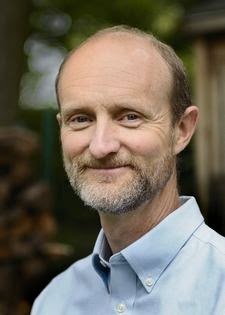 Mark Hart has practiced Insight Meditation since 1981, studying primarily at Insight Meditation Society in Barre, MA. Since 2000 has also studied with teachers of non-dual awareness, including Adyashanti, and has incorporated that into his teaching. He is guiding teacher of the Bodhisara Dharma Community in Amherst, Massachusetts, on the teacher’s council at Insight Pioneer Valley in Easthampton, and adjunct religious advisor to Buddhist students at Amherst College. He holds a Ph.D in theology from Boston College, an MA in Counseling from Seattle University, and has a private practice of psychotherapy in Amherst. Each meeting of the Sunday Morning Sitting Group includes 45 minutes of sitting and 45 minutes of conversation in which we share, in a context of spiritual friendship, our own exploration of truth and freedom in our lives. Not a teacher-led group. The Sunday Sangha now has two openings. We meet Sundays from 10:00-11:30 in Montague. We invite people who have been or are currently in Mark's class. Email Micky McKinley at mickymck22@gmail.com. for information. We encourage anyone to start a Sangha and we will be happy to talk about how this one is organized. Registration Form: If you are taking any of the Tuesday evening courses, please contact Mark at markdhart56@gmail.com. Join us for this 8-week spring tonic for the the heart and mind. Joy is found in our capacity to simply be and to relate to experience with less grasping and aversion. Rather than a "happiness" we pursue. joy arises as pursuing ceases. These classes will explore ways to open this natural capacity. Each class will include 30 minutes of meditation. Students will get the most out of the class who commit themselves to a daily practice of meditation during the series. The Cadigan Center, 38 Woodside Avenue, Amherst is not on the main part of the campus but west of Route 116/South Pleasant Street by one block. Starting from the traffic light at the intersection of Route 9 and South Pleasant street by the Amherst Common, go west on Route 9 (toward Hadley and Northampton) and take the first left. Go down to the end of the block and the Cadigan Center is on your left just before you come to the intersection with Walnut Street. Coming from Hadley on Route 9 go past the Amherst College fields coming up the hill toward the common. Woodside is the right turn after Orchard St. the last right before the traffic light. There is no parking on Woodside until you drive past the intersection with Walnut street. So don't park on the street in front of Cadigan. Keep going to park on the street. You may park at the Cadigan Center off the street, either in the circular driveway or on the side. Parking will take a little getting used to but there is plenty. It is also a brief walk from downtown. As plants are coming out of their dormancy, join us for this day of enlivening our spirits and waking up to the blessings of the present moment. Aside from periods of teaching, the retreat will be in silence and will include periods of sitting and walking meditation, yoga or mindfulness movement, and time outdoors resting in being and immersed in the senses. Basic instruction will be included for anyone new to the practice. To register for this retreat, click here. Mark Hart is the `guiding teacher for the Bodhisara Dharma Community in Amherst and adjunct religious advisor to Buddhist students at Amherst College. Working with the mind and heart skillfully in spiritual practice requires a gentle but steady inner hand. Clarity of intention provides steadiness of direction, and reliance upon intention rather than willfulness, judgment and worry to do the work provides some of the gentleness. We'll use this retreat to refine the intention of our practice and to explore how to transform our experiences.